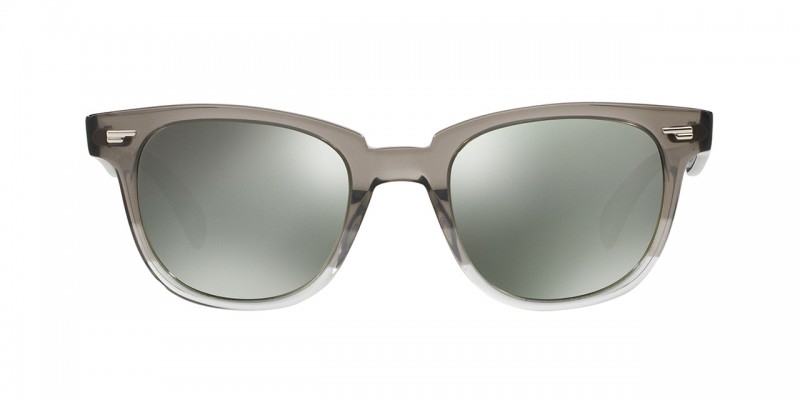 51 14356C- Oliver Peoples Masek in Grey fade Acetate/Brushed Silver details. Featuring custom silver mineral glass mirrored lenses. The Masek is a new design for 2015 exploring new dimensions in the range and of course much larger statements to finish of a cool new look for Oliver peoples. The Oliver Peoples Masek OV5301SU14356C is a bold larger proportinoed frame in Grey fade with Brushed silver features. The lenses are a corodinating silver mirror mineral glass . The frame is of bold proportion and design to give an all out cool finish to this new addition to the Oliver Peoples family. The Oliver Peoples Masek are covered by the 12 month no quibble Sendoptics guarantee.